How much a pole building cost depends on various factors such as size, customization, and location. 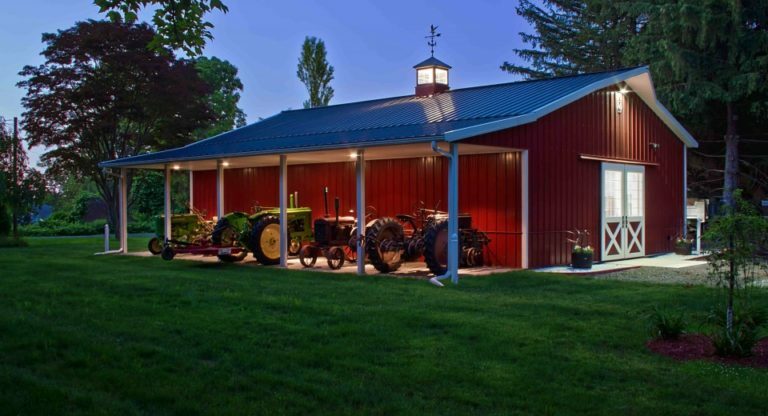 However, whatever purpose it may serve – a workshop, animal barn, storage facility, garage, or other function – a pole building or a pole barn is an affordable means of providing basic shelter. Also commonly referred to as post-frame construction, a pole building is basically made up of either a metal or wood with its roof-mounted on several tall posts built in concrete. While frame or block construction methods require a slab foundation and flooring, they are only optional requirements in pole buildings. Determining the pole building cost during the early phase of the design process is necessary as you work closely with an architect or engineer to define the scope of the project. Prices of kits that contain the necessary materials to set up a small sized pole building measuring 15 x 20-foot to 30 x 40-foot, with 10- foot high walls may range from $5,000 to as much as $10,000. Factors that may affect the price include the type, the number, quality of roofing and siding materials, complexity of the design and size of optional elements such as entry doors, storage loft, garage doors, insulation, and windows. A large pole building kit measuring about 30 x 60-foot up to 40 x 80 foot and above with 12 to 14-foot walls can cost $8,000 to $30,000. Other costs to include in your budget are the cement to be poured after the pole building is built, excavation or fill, electrical, HVAC, concrete, plumbing and shipping charges. Most pole barn companies offer free shipping but may require additional cost if the job site is outside their delivery area. There is also an extra cost to shipping fees when there is a limited vehicle access like on a dirt road or driveway. Below are estimated prices for additional options you may want to consider as you plan your pole barn project. The price estimates are based on averaged sized buildings of 1,200 to 1,500 square feet. While pole buildings are designed for easy installation do not require special skills to set it up, you can opt to hire someone to do the work for you. A number of pole barn kit suppliers are offering complete installation or it is also possible to hire a local carpenter. Total pole building cost including labor and materials may range from as little as $8,000 to $50,000 or more. A 20 x 40-foot pole barn made from wood may cost $10,000 for materials and additional $4,000 for the labor. A bigger wooden pole barn measuring around 40 x 60-foot could cost $18,000 while a 36 x 48-foot one could be value $29,000. Pole buildings cost less as you can save considerable amount from labor. 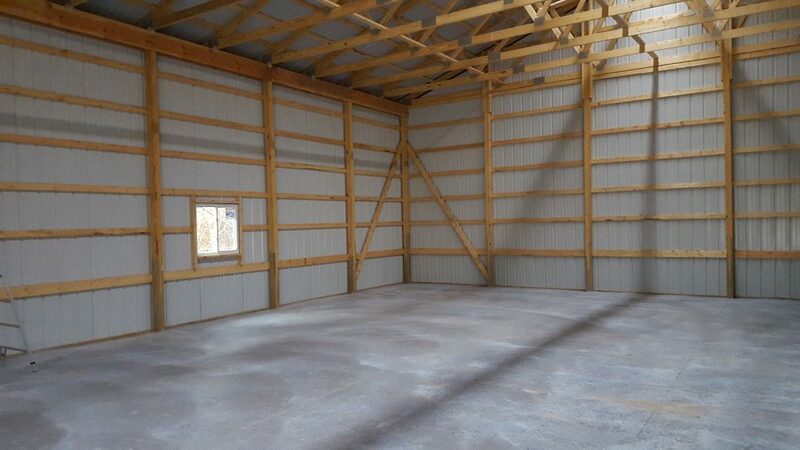 While labor eats up almost half of the total cost incurred from the conventional construction method, completing a pole barn requires far less of it and yet they are just as reliable and secure. Moreover, most pole buildings do not require costly interior supporting walls. They can even provide you a 100% clear span resulting in a wide-open space for maximum use. Most pole barn kit suppliers already have up-to-date prices listed on their website for easy browsing of a kit that fits your budget. It is important to remember however that price does not constitute the whole equation. It’s actually very easy to get distracted by pole building cost and forget to evaluate other factors of equal importance that could affect the structure such as the reliability of the manufacturer and the quality of the kit. Before purchasing, make sure you have done your research in checking out reviews of pole building companies online as well as their social media presence. 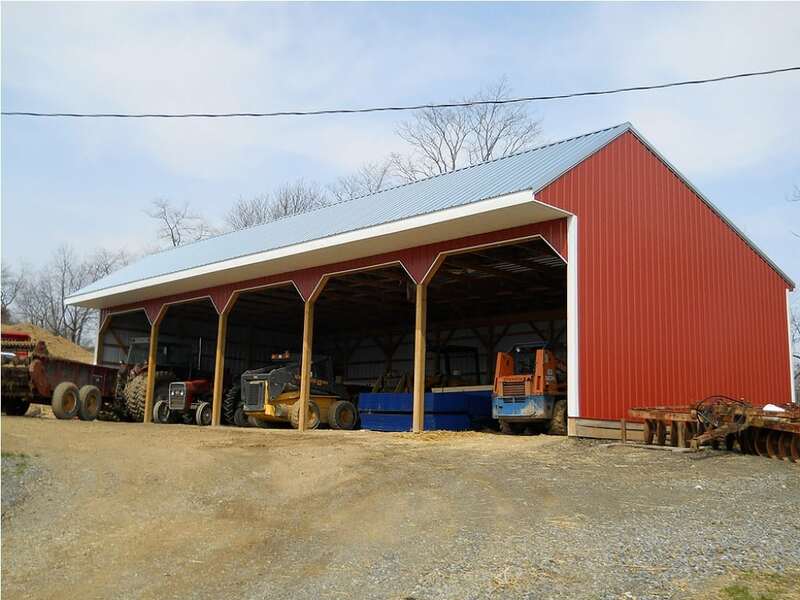 These can provide you insights into both the reliability and quality of the pole barn and the company selling it. Remember not to go for cheaper materials just to cut costs on your pole building. It will only add to maintenance cost later on that could result in a lot of frustration. If the pole building cost exceeded your budget range, it is better to discuss with your designer how you can both work on the options and the design to lower the price according to your needs.